The interest of Russian tourists in Bulgaria is staying at levels similar to those of recent years. This was stated by Oleg Safonov, Chair of Russia’s Federal Tourism Agency, during a meeting with Minister Nikolina Angelkova in Saint Petersburg. The two conversed during the Saint Petersburg International Economic Forum (SPIEF), which was held during May 24 - 26. Bulgaria is sought as a very good price performance and as a secure destination, said Safonov, adding that the allegations about an expected reduction of the number of Russian tourists in Bulgaria are not realistic. He stated his gratitude to Prime Minister Borisov and to Minister Angelkova for the good conduct of summer 2017. The leader of Russian tourism cited as an example the swift and adequate reaction of Bulgaria’s government in resolving a problem with Russian children at a Black Sea camp. At that time, the vacation of the group of children in Obzor could have been foiled due to the sudden death of a camp owner but after the Bulgarian authorities intervened the vacation was not only not interrupted and was concluded successfully, but even the next batch of vacationers was accepted. Safonov emphasized that close cooperation with the Bulgarian Minister of Tourism continues. Minister Angelkova also confirmed that she is not expecting a reduction of the number of Russian tourists. Safonov confirmed that Bulgaria is a preferred destination for Russian nationals. They were both unanimous that more active work is required to advertise Bulgaria in Russia. As of June first we are starting a new communication campaign in the Federation, added Nikolina Angelkova. The Russian Federation remains one of the most important tourism-generating markets for Bulgaria, with stats from businesses indicated that interest in our country remains sustainable, it was made clear by her words. Last year Russia ranked 5th in terms of numbers of tourists visiting Bulgaria – 557 915, with over 450 000 Russian nationals now having a second home in our country. During the May holidays Bulgaria was in the top 5 of the destinations chosen by Russian tourists. Our country is established as one of the most demanded locations for family vacations. In 2016 Bulgaria received the award of National Geographic Traveller as the best family vacation destination for Russian tourists, and the country is maintaining those levels of attention, it was made clear by the minister’s words. Bulgaria is among the 10 destinations (including Russia), which are the most demanded for summer vacations by Russian tourists, according to April 2018 stats. 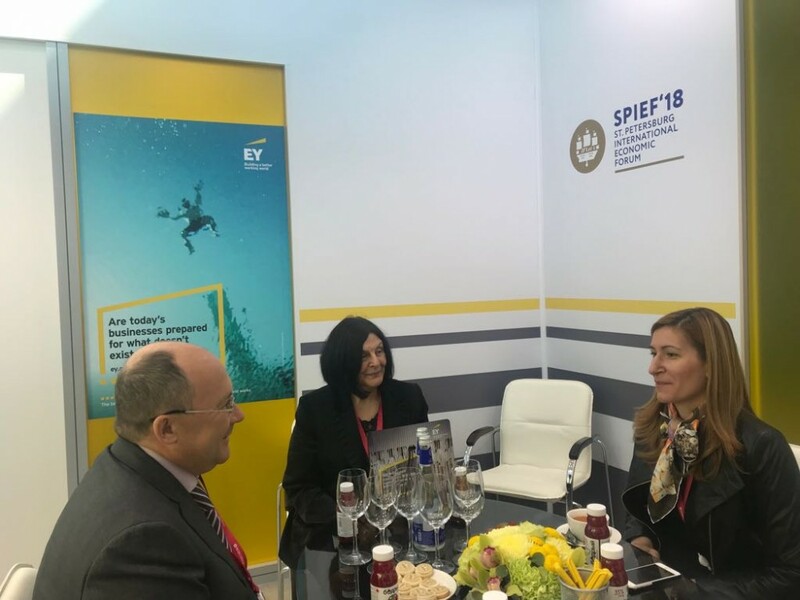 Minister Angelkova thanked Mr. Safonov for accepting the invitation to participate in the 2nd edition of the International Congress on World Civilizations and Ancient Routes, which will be held in November 2018 in Sofia. 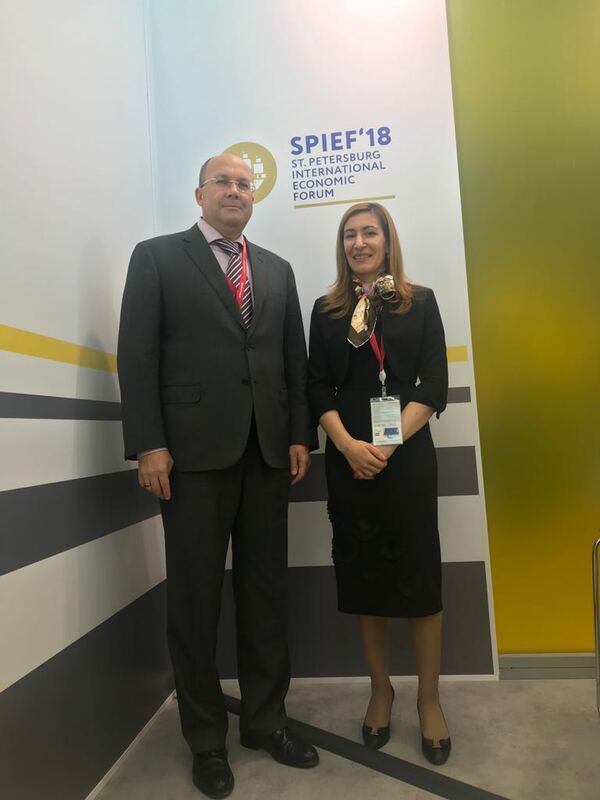 She invited him to also attend the meeting of the Cooperation in Tourism task group of the Organization of the Black Sea Economic Cooperation (OBSEC) on June 13, 2018 in Bulgaria.